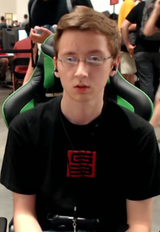 Robert is a Smash 64 player from Virginia. He is currently ranked 36th on the 2017 64 League Rankings. This page was last edited on January 8, 2019, at 16:43.